With more than 20 years in Asheville, NC, HomeSource Builders has been fulfilling custom home and remodeling dreams for clients across Buncombe county. With expert, in-house kitchen and bath designers, along with a complete, on-site design center featuring a functioning, model kitchen and endless materials samples, our focus is your experience—from the moment you hear of us, through the professionally managed building process, and long after you move in. We’re here to listen and inform, and listen some more. Virtually all our new home construction is Energy Star rated, and we’re experienced at building as green as you want to go. You tell us your ideas and preferences, and we’ll help develop your plan from initial concept to final design. We also offer all of our clients a complimentary visit with one of our designers so you talk about preliminary ideas with them, learn about their portfolio and background, and decide if they are a right fit for your project. You’ll find our quoting, project management, and selection process to be as outstanding as our team, eager to serve you. Whether you're local, or waiting to move here until after you home has been built, we dedicate our communication, scheduling, and financial progress reporting to keep you informed at every turn. And, if remodeling is your goal, our team will keep the integration into your existing home smooth, and the disruption to a minimum. For most people the purchase or sale of a home represents the largest investment of a lifetime. Did you know that only 10% of people shopping for a new home have the vision to see their belongings in another house? Home staging brings a home to life and can be the key to creating an emotional connection in a potential buyer. 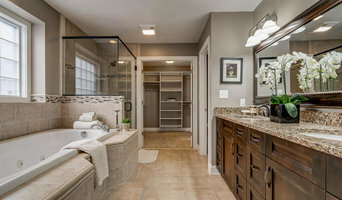 Showhomes was a pioneer in home staging and continues as the leader in this fast growing industry. We began our business in 1986 with the concept of transforming vacant houses - often seen by buyers as stale, lifeless, unappealing - into fully-furnished, inviting, valued Showhomes. Now in our third decade of service to Homeowners and their Realtors, we've become America's premier home staging service coast-to-coast. Through our nationwide franchise network of home staging experts, Showhomes has helped over 25,000 Homeowners and their Realtors sell homes valued at over $8 billion! Every major national media outlet in the U.S. has praised the work of Showhomes, the company's work has also been featured on The Today Show, HGTV and the Travel Channel. Our management team, headquartered in Nashville, Tennessee, has broad experience in real estate, design, customer service and franchise operations. We're dedicated to bringing you unparalleled expertise, responsiveness, professionalism and results. Living Stone Construction is Asheville, North Carolina's premiere, multi-award-winning Design+Build firm. Over the last 22 years, Living Stone Construction has been producing award winning results that have been recognized on the local, state, and national levels. LSC President, Sean Sullivan, is one of a very few Accredited Master Builders in the state, certified Energy Star partner AND nationally recognized Green Builder. Living Stone's Design+Build services have simplified and improved the entire building process to give clients the ultimate in quality AND value. Living Stone offers what we believe every client deserves, the ability to ENJOY the building process. We do that by designing + building to meet their budget by building happier, healthier lives. We understand how difficult it can be to find just the right flooring for your home or business, and we are here to help! At Quality Floor Service, Inc., we can help you choose from luxurious carpets in thousands of colors and patterns or the handcrafted beauty of exotic and domestic hardwoods. We can also help you pick from our diverse styles and designs of intricate patterned tile or our durable laminate flooring, sheet vinyl and luxury vinyl tile. 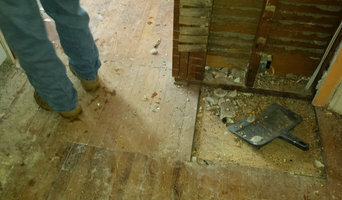 Sanding and Refinishing of old and new hardwood flooring is a service we have been providing for over 50 years! Transform those old hardwood floors into the floors of your dreams! Located in Hendersonville, North Carolina, Quality Floor Service, Inc. provides so many choices for every room in your home that lets you express your personal style. Quality Floor Service, Inc. began a partnership with Mohawk in March of 2007 as an exclusive Mohawk ColorCenter Elite Dealer. Our extensive knowledge of the Mohawk product line as well as several other lines, along with our focus on Customer Service allows us to provide the highest quality flooring solutions available today. Please browse our website and then stop in and visit us or call to set up an at home appointment to see for yourself why our focus on customer service gives YOU the clear advantage in flooring! 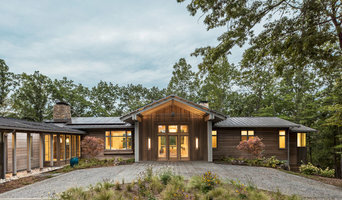 Green Design and Build Firm in Asheville NC SureFoot is dedicated to raising the standard of the green-built housing environment. Each of our carefully designed homes showcases the latest in sustainable materials and energy efficient technologies. We strive to balance building beautiful, healthy, environmentally friendly structures that are both comfortable to our clients and bring value to the community. For our homeowners, we combine short term savings with the use of reclaimed materials and creative design with long term savings on energy efficient systems keeping energy costs low. With each home that goes up, our communities become that much healthier and responsible. As consumers are becoming more thoughtful in the design choices and green building becomes more popular, Sure Foot is the ideal partner to bring your home to reality. Our team of experienced professionals will walk you through the design process that marries budget with schedule creating a design and a plan to achieve your goals. Meet our team! Kathryn S. Long, ASID: Kathryn has an early memory of her home burning to the ground on Christmas Day, in 1953. The four-year-old girl was held by a fireman that day, and she remembers the family salvaged a set of building blocks for her to play with. From that she progressed to drawing house plans on church bulletins. It seemed natural to major in interior design at East Carolina. After education, travel abroad, and work in New York, she returned to Asheville to set up shop in the back corner of Sluder Furniture Company, a fixture of downtown Asheville since 1905, which her parents had bought in 1964. Ray and Sarah Long encouraged their daughter to open her own shop, Ambiance Interiors, in 1977. B.F.A., East Carolina University, Interior Design • M.A., University of Georgia, Art History • NCIDQ • Winner of 11 awards for Design Excellence from Carolinas Chapter, ASID • Winner of 2006 Dora Gray Designer of Distinction Award from CCASID Linda Constable: Linda Constable was born in Reidsville NC, but might as well be a mountain native. She has lived in the Asheville area since the 1970’s. A graduate of Haywood Community College, she has worked at Ambiance Interiors since January of 1979. During those years she has done it all – serving as salesperson, Kathryn’s assistant, buyer, floor display manager, receivables manager, drapery installer, and interior designer. Linda is a fun-loving, caring person whose aim in design is to make people comfortable, happy, and proud to use the products of their collaboration. Tessa Eaton Design Is in Her Blood: Tessa Eaton, our project manager, design office coordinator, and general all-around assistant to Kathryn, spent her early years in Denmark. Her great-grandfather was an architect. She also has a cousin who is an architect, and comes from a family who owned a chain of home goods stores. You might call her a “Danish Modern” woman. Allard + Roberts Interior Design, Inc offers interior design and project management services for both new construction and remodel projects. Believing that the best designs are the result of a collaborative approach, we enjoy working alongside homeowners, builders & architects as part of a design team. Our design team takes projects from conception through to completion, often providing project management services for clients who are building or remodeling from afar. Sharon Allard + Talli Roberts specialize in uncluttered designs that provide visual rest for their occupants. We believe that home is a place of refuge, and our designs embody that belief. We value eco-conscious design and incorporate sustainable products whenever possible. We have established relationships with the local artists, artisans and craftsmen needed to create your unique space. Whether you are remodeling an existing space or building a custom home, thoughtful design has the ability to transform your space and your quality of life. Please contact us to set a time for an initial consultation. We look forward to being part of your design team! 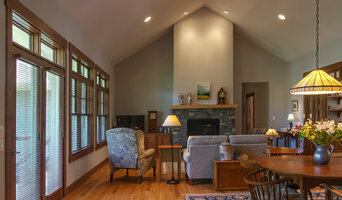 WSM Craft specializes in custom homes and large-scale home renovations in the Asheville area. We provide outstanding construction services and careful design and craftsmanship, with an emphasis on creative collaboration with our clients. We are a Licensed General Contractor, and a team of experienced artisans with a 2000 square foot wood shop where we can create one-of-a-kind artful details for your home.